What all does Fast Lane do? Do you have any guarantees or warranties? Yes. We guarantee each part you buy will fit and perform as intended with stock components. 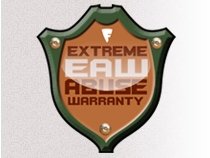 We believe we have the best warranty in the business. We stand behind each and every part we make. If you bend our break any of our products, simply return the damaged piece along with shipping and handling. And we will send you the replacement. Please e-mail us for details. We use the finest quality materials available such as 6061 T-6 aluminum. Do you do custom machining? Yes. Just contact us on what you would like to have done.